The Sultanate of Oman, which celebrated “The Year of the Child” in 2012, is one of the countries that have made the most progress in terms of life expectancy and quality of life over the last 40 years. A National Human Rights Commission has been set up and children have been able to benefit from it in areas of health and education. However, despite other improvements and bills aimed at increasing the protection of children, in reality many problems still exist. Legislation in the Sultanate increasingly takes into account the interests of the child and improves his protection in various areas. Nevertheless this is not sufficient to bring about change to traditions nor to make children’s rights a reality. The Sultanate has not yet allowed for several declared laws to become effective, such as the ban on child labour. Moreover, shortcomings in the dissemination of information concerning rights of the child, notably in rural areas, have a considerably greater impact on the daily lives of children. Finally, there is no real monitoring of adherence to these laws by the Sultanate and very few NGOs or associations are present in the country or report on this matter. The lack of data collected on many subjects affecting the children of the most vulnerable groups in society remains of great concern. Even if many restrictions and quotas have been suppressed, discrimination towards girls persists. It would appear that there are many inequalities between boys and girls in family law, notably around inheritance. Concerns have been raised, notably by the Committee on the Rights of the Child concerning the fact that no inheritance is to be passed onto girls where the parents are divorced. 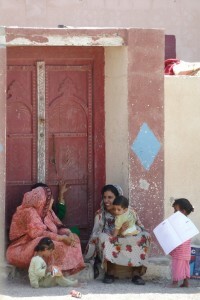 Excision is also practised within some families, in accordance with tradition, although the government tends to ignore the existence of such practices. In 2005, 17% of young Omani women aged between 15 and 19 were married. Even though the legal age today is 18 years, customs and traditions mean that, in reality, young Omani girls marry before they reach this age. 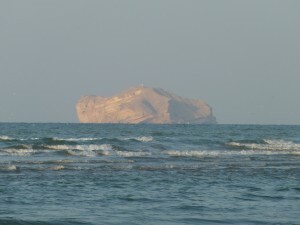 People trafficking, for sexual exploitation and domestic work occurs both within Oman and passes through its borders. Cases of fake or forced marriage are often recorded there. For example, young girls from South-East Asia are married temporarily then sold as servants and forced into prostitution in Oman. The Sultanate of Oman does not provide the same level of protection to children born to unmarried parents as it does to others. They are marginalised from society. To give birth out of wedlock is a crime and leads mothers with unwanted children to avoid getting in touch with competent authorities out of fear of legal sanctions against them. These children are therefore often abandoned. Furthermore, child adoption goes against the principles of the Sultanates’ Islamic law. So, it is often state institutions that take control of these children who will never be able to grow up within society nor be fully integrated into it. Children born of an Omani mother and foreign father do not have the right to an Omani nationality. This practice discriminates against women and children. Moreover, if the child does not obtain the nationality of his father, he becomes stateless and will not be entitled to the same protection as an Omani child. Despite a formal ban on corporal punishment at school, custom allows for it to be used where useful to “raise” the child. Children are thus still often subjected to poor physical or psychological treatment, even sexual abuse, within institutions of the state as well as within their own family. This violence is the result of attitudes deriving from traditions and the absence of dialogue between adults and children. The population is not informed of the negative impact of such treatment on children and their development, nor made aware of non-violent means of discipline and education. 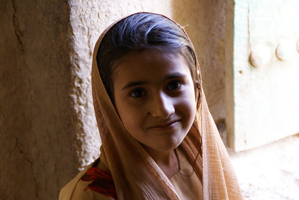 Despite efforts made by the Sultanate in recent years, problems of malnutrition and iron deficiencies continue. Even with a GDP of $18,000 per person in 2010, 9% of children under 5 are moderately to seriously underweight and 10% moderately to seriously physically underdeveloped over the period 2006-2010. Children living in rural areas and children of foreign nationals are subjected to discrimination in terms of access to healthcare and education. This is despite the efforts of the Sultanate to allow access to education in remote areas, including for nomadic peoples. The question of disabled children is equally worrying. The country has attempted to integrate them into ordinary schools and also specialised institutions. However, these establishments are situated in or around the capital, rendering access difficult and thus not allowing for real integration of disabled children. Finally, the population is not sufficiently well informed about the HIV/AIDS virus. Child sufferers, the majority of whom already find themselves orphaned by the disease, are very often marginalised and given up by their families. Despite support by the Sultanate for instruments of protection against child labour, it still persists unofficially in some sectors such as agriculture, fishing or family businesses. Children often end up doing work that is dangerous for their health and their personal safety. At the same time, they suffer restrictions on their freedom of movement and excessively long working days. They may be undernourished and be the object of physical and sexual abuse. Young girls employed as domestic help constitute the most vulnerable category of workers. A typical example of child labour in Oman is at camel races where children were often employed. The Sultanate today asserts to have eradicated this practice, but the lack of inspections calls this claim into question. Most notably foreign children are still used as jockeys because of their light weight and are therefore more profitable. In Oman, one child dies every four days on the roads. Many are seriously injured, even disabled for life due to the very high road accident rate for the population density and the number of children who drive without a licence. Even though bills are apparently in the process of being drafted, not only to establish special tribunals to hear cases to prosecute children but also to increase the minimum age of criminal responsibility, many children have been condemned to serve sentences in prison. Complaints concerning physical and sexual violence are not sufficiently registered or investigated by the police service. The staff are not trained well enough to manage this type of situation and the population is not encouraged to report attacks. Despite the undoubted interest the Sultanate has in the protection of the environment, water pollution (mainly due to effluents from the oil industry), the problem of waste management and air pollution all have an impact on the future prospects of Omani children. “I feel sorrow for our children in Oman, for the relative lack of educational facilities, intellectual stimuli and learning opportunities. Among the cases reported to child protection services, neglect is by far the most commonly observed child abuse, followed by physical and sexual abuse. The country could promote a public education campaign that openly discuss the issue of child abuse and how it can be prevented or avoided. Such a campaign should target both parents and children. The ministry is playing its role; for instance, they have opened a Child Help Line which both children and adults can access, but this help line may not be sufficient to address calls from all the children who need help in the entire country. From birth, a small piece of softened date is given to the child (a Muslim tradition). The call to prayer is whispered in the right ear and a prayer of protection in the left. A party is then organised to mark the occasion in the family home, during which it is customary to place money in the blankets of the newborn. The child is bathed and its eyes are made up with kohl. In the past, holy places were chosen to bury the umbilical cord. An old custom called for the planting of a date palm tree for each male newborn, which would then become the personal tree of the child. Its continued growth would assure life of the child who would always have this tree to feed from. 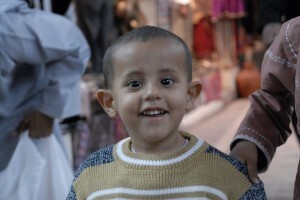 Seven years after birth, the hair of the child is shaved, weighed and the equivalent of its weight in money is given to the parents. Two animals are sacrificed for a boy, only one for a girl. The child then receives his name. Little boys are circumcised at hospital. The family convenes for a meal called Nasika. Houl-Houl, a celebration of the child’s first birthday to which neighbours and friends of the family are invited. The child is dressed in green and must look for chickens and sweets spread about by the mothers whilst the other children stroke the child’s head three times. Money is given to the children. Finally, everyone convenes to eat and drink coffee. Elkoronchowa takes place on the 25th night of the month of Ramadan, during which children clap stones together and ask for sweets from inhabitants on their way home. This festival is very popular with children. 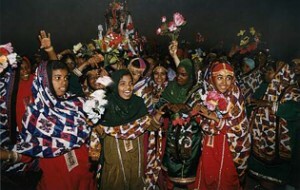 Finally, Ettamina or Taymina, which celebrates the end of the apprenticeship of the Koran. The child reads a song to the schoolmaster to thank Allah. Children then take coffee at each other’s home and finish with a meal. Concerns have been voiced around the wearing of a khanjar knife by little boys at these celebrations. In principle, the child is only allowed to wear the dagger (a national symbol of pride) if it is not used as a weapon and in the presence of the child’s father. It remains thus a cultural symbol.